JW: John Wesley Harding – why did you call the album that? tired. I had a tune, and I didn’t want to waste the tune, it was a nice little melody, so I just wrote a quick third verse, and I recorded that. But it was a silly little song…. 47 years ago Bob Dylan entered Columbia Studio A, Nashville Tennessee tempting his third (and final) recording session for “John Wesley Harding”. 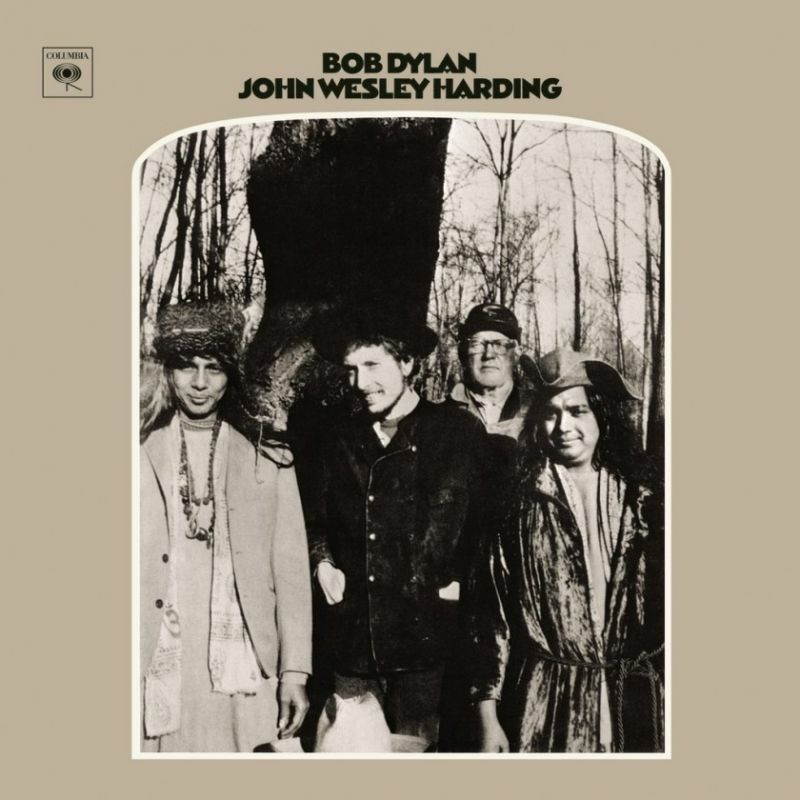 Dylan went to work on John Wesley Harding in the fall of 1967. By then, 18 months had passed since the completion of Blonde on Blonde. After recovering from the worst of the results of his motorcycle accident, Dylan spent a substantial amount of time recording the informal basement sessions at West Saugerties, New York; little was heard from him throughout 1967. During that time, he stockpiled a large number of recordings, including many new compositions. 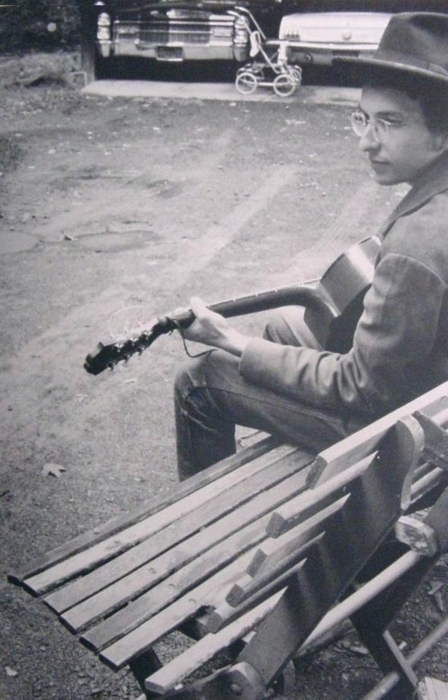 He eventually submitted nearly all of them for copyright, but declined to include any of them in his next studio release (Dylan would not release any of those recordings to the commercial market until 1975′s The Basement Tapes; and by then, some of those recordings had been bootlegged, usually sourced from an easy-to-find set of publisher’s demos). Instead, Dylan used a different set of songs for John Wesley Harding. Those sessions took place in the autumn of 1967, requiring less than twelve hours over three stints in the studio. Dylan was once again recording with a band, but the instrumentation was very sparse. 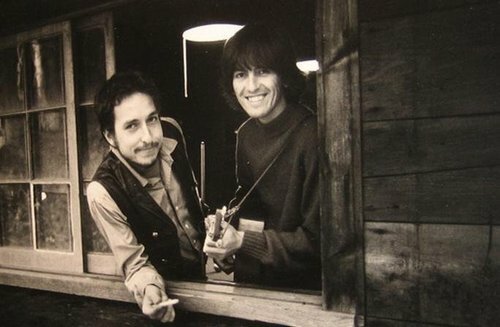 During most of the recording, the rhythm section of drummer Kenneth A. Buttrey and bassist Charlie McCoy were the only ones supporting Dylan, who handled all harmonica, guitar, piano, and vocal parts. This album is no cheap thrill. It is, though, a most serious, darkly visionary exploration of the myths and extinct strengths of America; its Calvinist spirit gives it an eerie power in mixing the severely biblical with a surreal 19th century, American-pioneer ethos. November 29, 1967, 6 pm – midnight. “..the relaxed richness of Dylan’s voice tells us a true healing has taken place in the course of recording the album. Good news indeed. The harmonica-playing alone is evidence of transformation. All songs released on “John Wesley Harding” – December 27, 1967. Drifters Escape-when my son was young , we’d sing it together. Help me in my weakness-who hasn’t uttered those words in life? Not able to listen to the music. I love this album and the outtakes have become a bit of a holy grail for me. Why they’ve never surfaced I don’t know as almost everything Bob did was kept securely for posterity so I’m hoping Columbia will one day (milk) this situation and let me hear (buy) them. “Dear Landlord” is one of his under-appreciated songs. Just love it every time I hear it. Personnel does not indicate who played piano. Can I assume it was Dylan?